Diagnosis of Parkinson’s can be difficult to confirm by conventional clinical assessment alone. 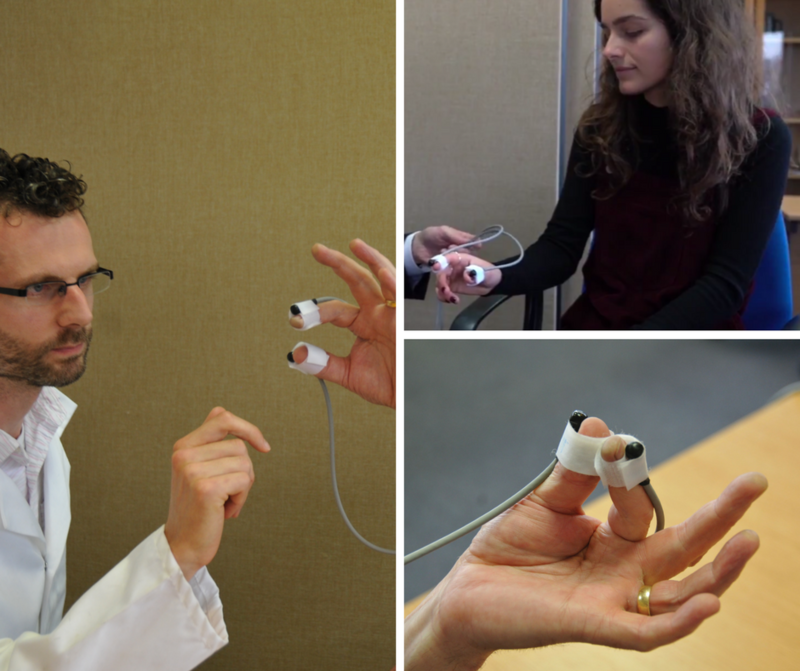 PD-Monitor assists specialists by measuring symptoms of Parkinson’s while patients undertake routine clinical tasks. Readings from the sensors are transmitted to a tablet computer and then analysed by specialist software employing biologically inspired algorithms. These algorithms have been trained to recognise patient movements characteristic of tremor and bradykinesia, two important symptoms of Parkinson’s disease. The results are then presented on the tablet computer in an easy to interpret display that can be used to help diagnose and monitor the progression of Parkinson’s disease. Parkinson’s is a progressive neurological condition caused by a lack of a chemical called dopamine. Dopamine allows messages to be sent to the parts of the brain that co-ordinate movement. Parkinson’s destroys nerve cells that produce the brain chemical dopamine. Bradykinesia, a symptom of Parkinson’s, is a slowness of physical movement, which can make everyday tasks difficult and can result in a distinctive slow, shuffling walk with very small steps. What does finger tapping show? Bradykinesia causes difficulty with repetitive movements, such as finger tapping. The finger tapping test evaluates bradykinesia by focussing on reduction in rate, amplitude, or both with repetitive action.